What are Bionic Boots? Did you know that you can run as fast as a car and jump like a kangaroo for less than $300? You better believe it. How is this possible? Through an invention called Bionic Boots by bartender, inventor and maker Keahi Seymour, who lives in San Francisco. Seymour has invented transport devices utilizing energy recoil. This means the boots use the energy that is created by normal running. Your own motions activate them, but the devices are made with spear gun springs, metal and carbon fibre – all materials we would say the future is made of. Right now Seymour reaches speeds of 15-25 mph, but he is aiming for 45 mph, the same speed an ostrich runs at. And now, without further ado: Please read on about some new, superb, custom-made, unique gadgets on and off the market that are related to the amazing Bionic Boot! See for yourself! 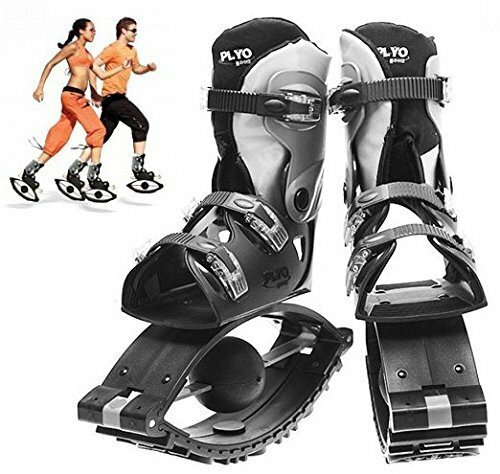 The Skyrunner jumping stilts for adults are currently available for about USD 285 (for two boots…duh). Does this seem like too much? It may seem like too much – almost 300 for a pair of shoes – but again, please keep in mind that it’s not just any shoe. It’s guaranteed to keep you happy and amused for quite a long period of time! What’s more, the boots are actually pretty safe. 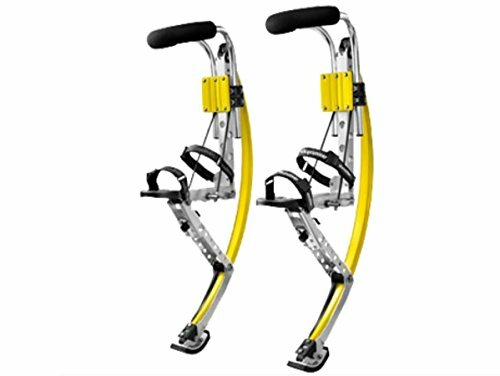 You can adjust your weight and the bounce height by regulation the tension in the spring. By the way: Running with bionic boots will very likely not be supported by your favorite fitness tracker and the tracker will probably show wrong data. The devices are made of top quality aluminium and a fully insulating, shock-absorbing piece of mountain bike tyre sits on the bottom of the boots to ensure safety and stability. Do you want to run as fast as a car, but are a bit cash-strapped right now? That’s OK – you can make your own Bionic Boots. How? All you need are 6 strong fabric strips of about 45 cm, 2 springs for about 1.3 of your body weight, 2 rubber bumpers a third of your foot size, steel baking trays, 6 steel strips, 2 100 x 1.5 cm hot iron… Check out the complete instruction right here! The boots may be safe enough, but nothing is 100%, so some kind of protection is in order. Better get a safe helmet if you would like to start with powerbocking and want to stay healthy. For the future more awesome stuff is planned. Maybe even some of these ski tracking helmets could be utilized for powerbocking? TSG helmets are designed by the worlds top professional skateboarders and distributed by Skate One Corp. Featured with 13 head cooling air vents, brushed cotton insulation and exchangeable pads. 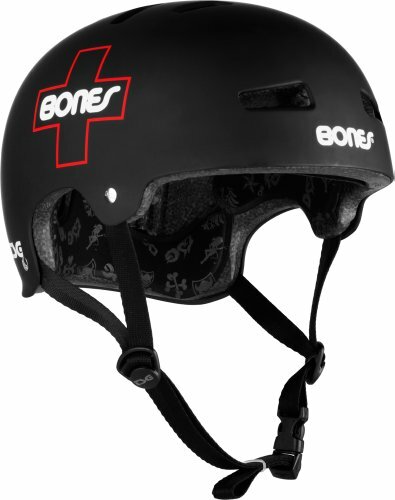 The classic skate/bmx helmet allows you aggressive riding while you feel absolutely safe. OK, let’s be honest – running exoskeletons are still in the development stage. Very promising is the SuitX Phoenix which aims to help people with mobility disorders. Most practical exoskeletal designs operate in parallel with the leg. Similar to the bionic boots they utilize springs or spring-like forces, because these are biologically and economically feasible to implement. Subjects of a pilot study on exoskeleton running effects do not report experiencing stiffness or any other after-effects. The pilot data does, however, suggest that there may be a difference depending on whether you’re a casual or professional, competitive long-distance runner. 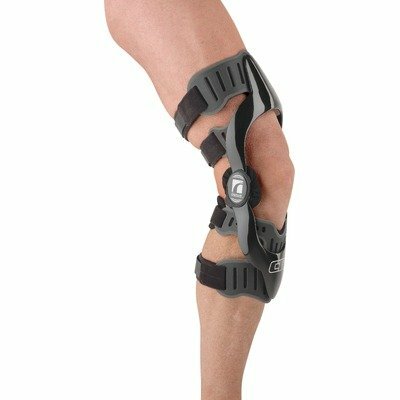 The exoskeletal knee brace protects your knees during high impact contact sports. Forces from unnatural movements will be taken up by the brace. High tech materials like carbon fibers and custom paint options make this a helpful gadget for extreme powerbockers. If you prefer less height you may also try out these anti gravity air kicks! 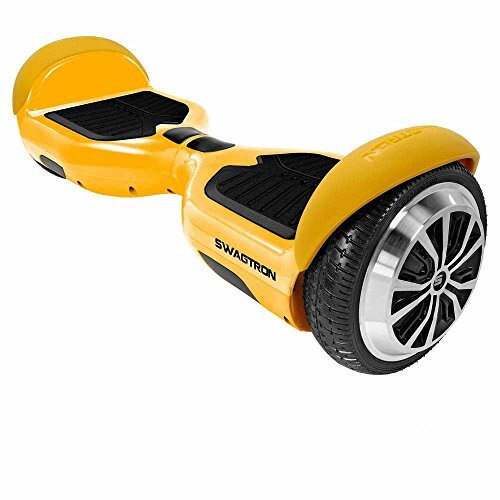 The Hoverboard is a mixture of skateboard and Segway and it will accelerate as you learn forward and brake as you lean backwards. UL 2272 self-balancing scooter certified. Excelled in all government-regulated safety tests. Max Speed 8+ mph w/ a range of 12+ miles powered by a 300-watt dual electric scooter motor. Patented SentryShield Battery Technology and Smart Battery Management System that monitors and protects. Seymour’s story is very interesting. He was actually inspired by a creature none other than the ostrich itself, which fascinated him when he was a child. Seymour marvelled at the seemingly effortless movement and steady gait of the ostrich, which looked like it was flying, not running. He then set out to create what he called the transport of the future. Years later he created boots that let you jump and run faster than a car – allright, maybe a car that isn’t going very fast because 25 mph is not too fast for a car. The mechanism of his Bionic Boots is inspired by animals’ tendons. The energy is replicated by the tension in the rubber and the springs that are among the fundamental elements of the boot, allowing for a longer stride and better energy recoil. The boots feature pneumatic-powered means of extension, bands of spear gun tubing, mountain bike tyres and aircraft grade aluminium. Seymour was most recently featured at the Maker Faire in San Francisco. Along with his unbelievable invention, of course – and, naturally, he was more than happy to demonstrate his boots. Inciting gasps of awe from the visitors of the fair as he flew past them, propelled into the sky by the enhanced, futuristic, custom-made extension mechanisms. Keahi Seymour hopes this will inspire young kids, because he, after all, had the idea for the Bionic Boots when he was just a young boy. The next step in his plan is getting his product down to New York and doing a test run in Manhattan during rush hour.